Keeping up with new technologies to master, new trends to follow, and new ways of getting things done can be challenging at the best of times. If you have been using Google Ads (formerly known as Google AdWords), you may be wondering what you need to know for 2018. The answer to what’s next in technology trends is Google Ads Next. Google Ads Next is the design interface rolled out in 2017, devised to help you work “20% faster” and to make core tasks easier. The simplified dashboard displays information in a way that allows for quicker, smoother analysis. For many users of Google Ads, improved simplicity is important, allowing for data to be more readily analyzed, and thus improving the user’s ability to create strategies that work. Unfortunately, for those who have been using Google Ads for some time, using the older interface may have become second-nature, thus causing some confusion when it comes to using the new dashboard. It may even cause them to struggle with once-routine tasks like filtering data. No need to worry, however; all the of the Google Ads elements that you have come to rely upon are still in place, while a number of new features have been added to enhance your user experience. It may take a bit of time to re-familiarize yourself with everything, locating the tools and directives that you need, but overall, Google has done an amazing job of transitioning from old to new. 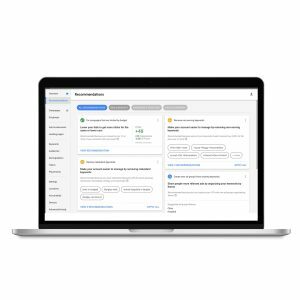 The new Google Ads Next dashboard has placed emphasis on certain aspects and features. One of those features is the Opportunities page, which has been expanded to offer you insights on such things as bidding recommendations, ad extensions to ensure that ads are relevant, ways of maximizing conversions, and recommendations for redundant keywords. 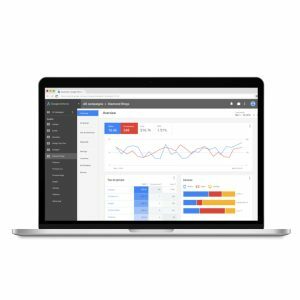 The improved layout of the dashboard offers better insights and new understanding into the inner workings of your Google Ads account. Google is offering a helping hand to advertisers via their recommendations. You will note, however, that Google is biased toward their own products. By recommending that you use them, they are seeking more income for themselves. Many of their recommendations focus on expanding campaigns and an increase of spending. Because of this, you would be wise to carefully review their suggestions, adding a pinch of salt. Rather than applying all recommendations, take the time to review them and assess what is being presented in order to determine if it is correct for you. There are good recommendations, of course, but determine for yourself which ones to accept. Things are still developing with Google Ads Next, but Google seems to be making good progress toward making it more user-friendly and easy to use. It may take some time to see how effective the changes are, but it’s looking to be more streamlined, and easier to use, which is almost always a welcome change. If you have any questions about this change, need some advice on how you can benefit from the new Google Ads, or just need some help with any facet of your online marketing, contact us at Marwick Marketing!